Visit one or more remote unique western parks. The western part of Tanzania is the most remote and least visited parts of the country. It extends far into the heart of Africa. 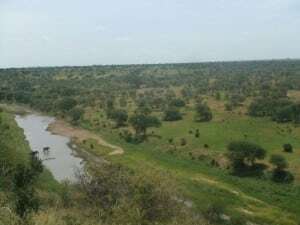 However, you will find some interesting and unique natural parks such as Katavi National Park – which is the epitome of untouched wilderness. Lake Tanganyika is the largest Great Lake Ecosystem and the deepest lake in Africa. The Mahale Mountains stand like sentinels around it. Here and in the Gombe Stream National Park, you can visit the chimpanzees in the forests. You can also press or to equip it more delicious, swimming or water sports.